How To Get To A. Venue Mall and Hotel Makati? 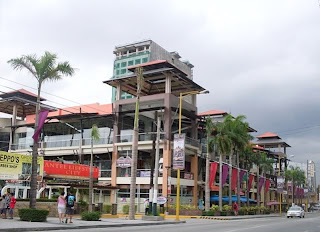 A. Venue Mall and Hotel, located along Makati Avenue corner Valdez Street and Luna Street is a mixed-use complex made up of A.Venue Boardwalk - Entertainment Mall, A. Venue Hall - World Class Events Venue and A. Venue Hotel - a five star hotel. The establishment is developed as part of the Antel Lifestyle City property. 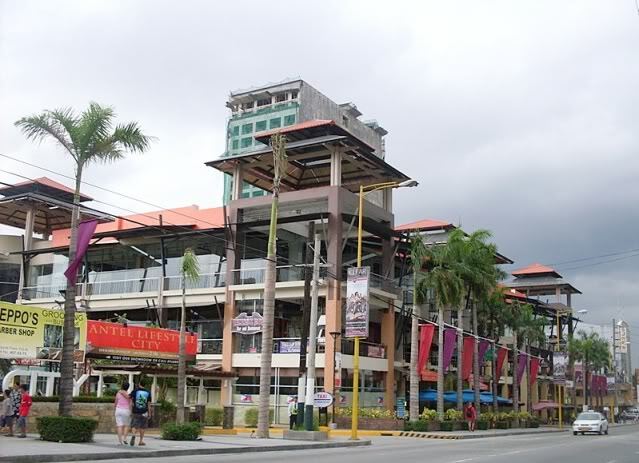 The Boardwalk includes a strip of restaurants filled with entertainment options like comedy clubs, dance clubs, videoke KTVs, bars, and night events. The Hall is a pavilion also known as the Events Venue and has state of the art equipment to cater to international DJs, trade expos, artist exhibits, auto shows, product launchings, etc. A. Venue Hotel Suites, located at the Antel Lifestyle City, at the corner of Makati Avenue and Luna Street is promoted as of world class quality and offers an alternative venue to the hotels located in the bustling CBD of Makati. Restaurants and bars that can be found in A.Venue Mall: 360 Restaurant and Bar, Burger Avenue, Suta Meshi, Capone's Bistro, Naked Juice Bar, Zenses Neo-Shanghai Cuisine, Club Bureau, Fluke, Padrino, Gasthof, Attica Bar and Lounge, Coffee Bean & Tea Leaf, Focaccia Italian Restaurant, Sicilian Express, Plate & Yummy Asian Restaurant, Botong's Up Restobar, Texas BBQ Bar and Restaurant, Shin Dang Dong Korean Restaurant, Artina Gallery Cafe, Oki Okie, Three Sixty. The second and third floor are lined up with health and wellness facilities while the third floor would have retail stores and occasional exhibits. Remember that A.Venue Mall and Hotel is on Makati Avenue between Valdez and Luna Streets. The nearest MRT station would be Guadalupe Station. There is only one route of jeepney that passes through the area which is Guadalupe-Ayala. Some commuters would actually just walk from the corner of Buendia and Makati Avenue to the area instead but this would take some 20 minutes. Sub-Option A. Get down at Guadalupe and ride a Guadalupe-Ayala jeepney. This jeepney route passes by A.Venue Mall already. *Going home, you can ride this jeepney, get down at Ayala Avenue cor. Makati Avenue and then ride the MRT. Sub-Option B. Get down at Magallanes and walk towards the Pasong Tamo corner. Ride a PRC-Kayamanan-C jeepney and get down at Kalayaan Avenue (this would be near the endpoint of that route already). From the corner, ride a Makati Avenue-Burgos-L.Guinto jeepney. Ask the driver to drop you off the nearest street to A. Venue Mall (which might be Valdez Street). Remember that this would take longer than Sub-Option A.
Sub-Option A. Get down at Guadalupe Station and ride a Guadalupe-Ayala jeepney. This jeepney route passes by A.Venue Mall already. *Going home, you can ride this jeepney, get down at Ayala Avenue cor. Makati Avenue and then ride the MRT/Bus from EDSA-Ayala. Sub-Option B. Get down at Magallanes Station and walk towards the Pasong Tamo corner. Ride a PRC-Kayamanan-C jeepney and get down at Kalayaan Avenue (this would be near the endpoint of that route already). From the corner, ride a Makati Avenue-Burgos-L.Guinto jeepney. Ask the driver to drop you off the nearest street to A. Venue Mall (which might be Valdez Street). Remember that this would take longer than Sub-Option A.
Sub-Option A. Get down at Guadalupe and look for jeepneys with a Guadalupe-Ayala signboard. This jeepney route passes by A.Venue Mall already. *Going home, you can ride this jeepney, get down at Ayala Avenue cor. Makati Avenue and then ride the MRT/Bus from EDSA-Ayala. Sub-Option A. Get down at Guadalupe Station and look for jeepneys with a Guadalupe-Ayala signboard. This jeepney route passes by A.Venue Mall already. *Going home, you can ride this jeepney, get down at Ayala Avenue cor. Makati Avenue and then ride the MRT/Bus from EDSA-Ayala. Option 3. From Pasay/Baclaran, ride a jeepney going to Alabang and get down at Magallanes. Cross EDSA and go under the Magallanes flyover going to SLEX, jeepneys going to Pasay Road pass by under the Magallanes-SLEX flyover. Ride a Pasay Road-Libertad jeepney and asked to be dropped off the corner near Makati Cinema Square. Ride a PRC-Kayamanan-C jeepney and get down at Kalayaan Avenue (this would be near the endpoint of that route already). From the corner, ride a Makati Avenue-Burgos-L.Guinto jeepney. Ask the driver to drop you off the nearest street to A. Venue Mall (which might be Valdez Street). Sub-Option A. Ride a bus going to Guadalupe and then look for jeepneys with a Guadalupe-Ayala signboard. This jeepney route passes by A.Venue Mall already. *Going home, you can ride this jeepney, get down at Ayala Avenue cor. Makati Avenue and then ride the MRT/Bus from EDSA-Ayala. Sub-Option B. Ride a jeepney bound for Don Bosco/Pasay Road, go down at the corner of Pasay Road and Pasong Tamo. Ride a PRC-Kayamanan-C jeepney and get down at Kalayaan Avenue (this would be near the endpoint of that route already). From the corner, ride a Makati Avenue-Burgos-L.Guinto jeepney. Ask the driver to drop you off the nearest street to A. Venue Mall (which might be Valdez Street). If you are commuting from around Makati, you can consult the transport map to know where you can transfer jeepneys. The only jeepney route passing directly in front of A.Venue Mall and Hotel is J12 (Guadalupe-Ayala). If you are coming from Taguig or Pateros (C-5 Area), take a jeepney going to Market! Market! and from there take a jeepney bound for Guadalupe and then ride Guadalupe-Ayala jeepney going to A.Venue Mall and Hotel. For private vehicles: A.Venue Mall and Hotel is on Makati Avenue between Valdez and Luna Streets. Parking is ample at the basement of A.Venue Mall. Of course, take note of the MMDA Number Coding Scheme implemented in Makati. If you are coming from EDSA southbound, you can take J.P.Rizal Avenue via Guadalupe and then turn left on Makati Avenue. A.Venue Mall and Hotel would be a few meters away already (on your right side). If you are coming from EDSA southbound, you can take a right turn at Buendia Avenue, then turn right at Makati Avenue. Continue on this route but take note that for most of the day, it will turn into a one-way street and you need to take P.Burgos (which is a curved street, meaning you will again end up in Makati Avenue). Once you've reached Makati Avenue again, you need to turn left and A.Venue will be already on your right. Alternatively, while on P.Burgos, you can look for Valdez Street (or Rivera) and take a left turn there, once you cross Makati Avenue, that's already A.Venue Mall. Of course, you can ride a taxicab from any area around the Metro and ask the driver to drop you off "A.Venue Mall Makati Avenue" or "Makati Avenue corner Valdez". Landmarks around A.Venue Mall and Hotel are Aberdeen Court, Great Eastern Hotel, Best Western Astor, Robelle Mansion, St. Paul School Makati, Makati Prime Tower Suites, Oxford Suites, San Miguel Village, Bel-Air Village II. 48 Responses to "How To Get To A. Venue Mall and Hotel Makati?" how to get to yuchengco tower, ayala avenue, makati city if i am from las piñas city? 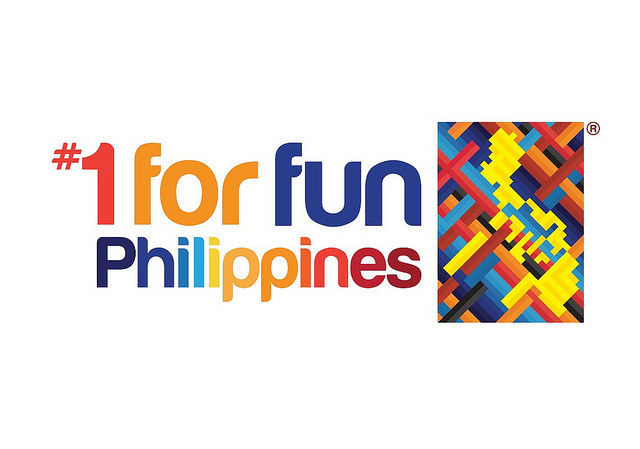 Thank you so much for sharing such information on how to get A. Venue Mall and Hotel Makati. The location seems so very perfect. As you can see, there are lots of restaurants you can visit if you have spare time. It's all around the hotel. The place is very awesome and we are inspired also to put some restaurants around us, we will add some for us to gain customers. How about coming from buendia lrt station going to a.venue mall? Thank you for sharing the post! It's easy to get there with this instruction! Instead of welcome Spike Lee to route MyCareer (as he did back in NBA 2K16), NBA 2K18 Prelud in the fashion it had actually been, and also customers are much better awarded for. Currently will certainly be shown on the display. kingrootapkdownloads I recognize you intend to download and install Kingroot for PC. Right now, the system can just be used to create limitation and market orders. Binance Sign In For level which permits up to per day, you need to submit a photo ID.